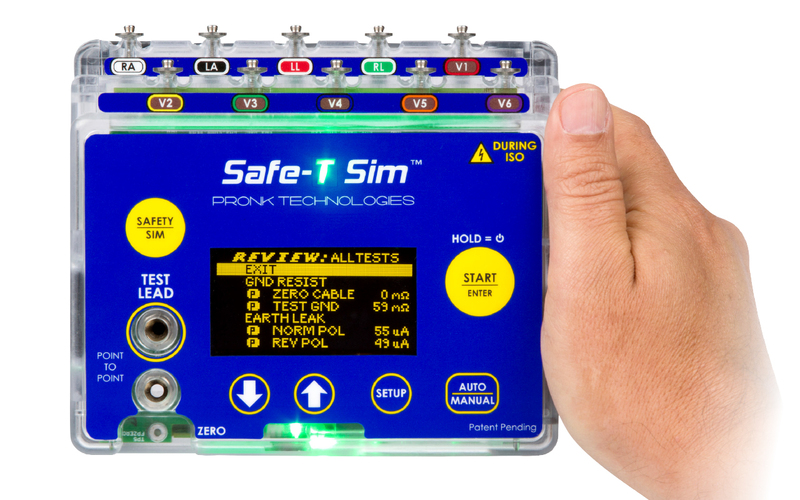 Pronk Technologies introduces Safe-T Sim, the smallest automated electrical safety analyzer on the market. Safe-T Sim establishes a new standard for portability, automation and ease of use by performing a complete electrical safety test with a single touch. Onboard automated test sequences can be tailored to match the facilities’ preventive maintenance and service protocols, achieving new heights in efficiency and speed. Combined with the Bluetooth option and app, Safe-T Sim can also be operated from a smartphone/tablet to automatically generate electronic test reports, easily transferrable to a CMMS. Safe-T Sim also includes ECG/respiration simulation, “stay onscreen” battery operation and a four-year warranty. For More Information visit www.pronktech.com or contact us at 800-609-9802.